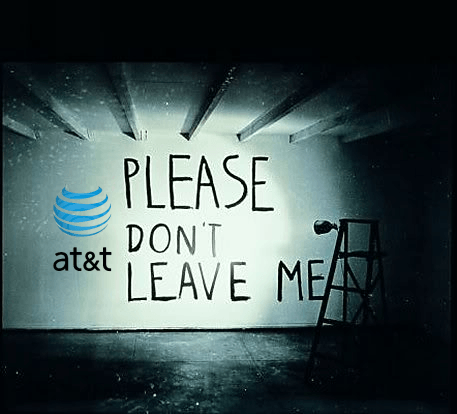 Is your promotion with AT&T U-verse coming to an end? Are you actually paying regular price for Internet, phone, or television service? Why? AT&T has been attempting to improve its “promotional churn” numbers — the percentage of customers who switch to AT&T U-verse with a special deal only to cancel after the promotion ends. So far, it seems to be working, especially in the Midwest where AT&T’s pricing has been so aggressive, Time Warner Cable admitted it has had trouble keeping customers and winning former ones back. Providers are especially vulnerable when promotional packages expire and rates reset to the regular retail price, often $30-80 or more a month, depending on the number of services. When the first bill reflecting non-promotional pricing arrives, a lot of customers with bill shock consider their options and some leave for a better offer elsewhere. Time Warner Cable handles this by offering a less generous, follow-up promotion when the original one expires. AT&T usually waits until customers try to cancel service before a “customer retention” specialist goes to work to save the account. An AT&T customer service representative working in AT&T’s customer retention department talked with Stop the Cap! this week about AT&T’s current pricing and promotions, but requested anonymity because she was not authorized to speak with the media. With U-verse still being a relatively new product, AT&T invests a considerable amount of money to provision service to new customers. To recoup that investment, AT&T needs customers to maintain service for at least a few years. If a customer cancels as soon as their promotion expires, AT&T will lose part of that investment. “It is actually better for us to upgrade your service and even cut your price than to lose your business, so we do exactly that,” our source says. “That is why our best retention offers are not available to new customers. That is actually a good thing in my view because we’re treating our current customers better than those who are not,” she adds. Stop the Cap! has assembled a guide to help current AT&T U-verse customers snag one of these retention deals and save. 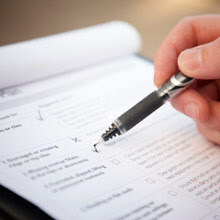 However, please be aware your results can vary based on a number of factors including: your past payment history (chronic late-payers will not qualify for the best offers), the level of competition in your area, the customer service agent you are dealing with, and the perceived seriousness of your threat to cancel service. We have focused most of our attention on the broadband part of U-verse, but those with bundled service can also get some attractive retention deals. What about U-verse’s 250GB usage cap? You will be calling AT&T. Do not bother using their online chat support, e-mail, or snail mail to ask for a better deal. You will not get one. 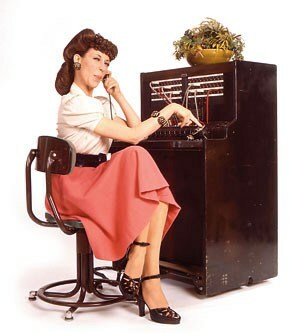 AT&T’s approach to customer retention requires a specially trained representative to speak with the customer by phone. Think about what is most important to you, upgraded service for the same price or a lower bill. The representative will have a few different retention offers to choose from, and in some cases a supervisor may need to authorize the better-priced deals. Most will require a one-year term contract. A lot of customers want a better deal but don’t want to feel stressed out asking for one. Don’t worry. In most cases the entire process will take less than 15 minutes. But it helps if you can call when you are free of distractions or pressured for time. Hold times might vary and in some cases a less-than-helpful representative might require you to start negotiations over with someone else. Do -not- call AT&T’s regular customer service number. Instead, call 1-800-288-2020. You will be prompted to select your state, asked for the phone number associated with your account, and offered a menu of choices to proceed. You need to say or select the option to “cancel service.” This will route you directly to a customer retention specialist. You: I am calling to cancel my U-verse service. I have been offered a better deal with the cable company. AT&T: Really? We don’t want to lose you as a customer so let me pull up your account. Can you tell me what our competitor is offering? At this point, you want to quote the deal you found on the competitor’s website and quote the offer. Let the representative know you are switching because of the price and/or features. You: I just received an offer from my cable company that has made me seriously consider switching but I wanted to reach out to AT&T to see what you could do to keep my business. I’d like to learn what promotions I might qualify for. AT&T: Let me check. Tell me what the competitor is offering you. You: (Describing the offer) There are certain things I like about the offer from the cable company but I could be persuaded to stay with U-verse. I am just concerned because for the amount you charge for broadband service, I can get faster speed at a lower price with the cable company. Are there any promotions that can boost my speed and offer me a better deal? When the representative comes back on the line, they will usually offer a small discount or service credit ranging from $5-10. But better deals come to those who hold out. You: My neighbor is getting a better deal than that. He received a speed upgrade and is paying something close to half the regular price for the next year. Is there anything like that available? AT&T: Let me check. Yes there is, but I will need to speak to my manager. Stop the Cap! has verified some valid U-verse retention deals that are commonly available throughout the United States. In some highly competitive areas, these deals are often sweetened with a $100 service credit instantly applied to your bill. You can always ask. Although AT&T might offer some of these for six months, most can be extended to 12 months upon request. Be ready to commit to AT&T for the next year to avoid any early termination penalties in the typical 12 month term contract that comes with these offers. It is important to be flexible and don’t fixate on any particular element in an offer. A representative may not be able to waive surcharges like a modem rental fee (buy your own) or a Local TV Surcharge, but they can usually find a deal that more than compensates you with a much-reduced rate. If the representative seems reluctant to extend an offer to you, thank him or her for their time and call back and speak with someone else. Some AT&T representatives are more helpful than others. This came literally one day too late. I canceled yesterday. This deal works great but should be updated for price increase, I got 24 Mbps for 35.50 for 1yr. This did not work for me. I got a very rude customer retention specialist who actually proceeded to lie to me on the phone. We have had uverse for almost 3 years now and she tried to tell me I can’t cancel because we are under contract? I told her we were out of contract after the first year and we have never made any changes to our service? She proceeded to tell me any promotions they offer force you to be under contract. I decided at that point I didn’t want to do business with a company that lies. Its been nothing but problems with their billing. They are a nightmare. She wasn’t lying to you sir, I’m a billing & sales representative for Uverse, DSL, and POTS phone services. All the good promos available through not only retention but in the billing & sales department come with a contract term for however long the promo lasts. The only retention promo I’ve seen that doesn’t is a $5 off for one year promo. Was that a confirmed and signed “contract”? Was it verbal? Was it sent out in a letter as bulk mailing, or with a first class stamp? Was it’s delivery confirmed? I’ve always had good luck with negotiating Uverse rates but had an unlucky spat of 3 unhelpful agents. Been with for 4 years but I’m honestly thinking about cancelling. U300 with 18Mbps is a good service but I’ve been paying $100 a month and they say the best they can do is $131… ah no. They are calling that the “Best manager rate” and won’t budge. I’ll try one more time and then it’s curtains! They didn’t even try to throw in HBO or something!!! They did offer the internet only for $37.50 but won’t include that discount with TV, basically penalizing me for wanting TV service too. Just called, took about 35 minutes but they did give me the rate I wanted. The first year with them I paid $68 with taxes and fees for dvr and and modem for U family and 6Mbps speeds. Now I wanted U200 and faster internet so at first they offered $98 a month with dvr and modem fees included, but then she called her service specialist when I didn’t want that deal. The service specialist (manager) offered me the same deal and I still wasn’t having it, so she offered $84 with all fees w/o taxes. That I agreed to because it was only $16 more than I was paying and it included double the internet speeds and double the channels. I was nice, but assertive and kept quoting Comcast so thats the key to the conversation. Just tried today. My promotional price for my 24Mbps ends near the end of June (with the option of extending the discount) – I pay about $51/month. Spoke to the retention department and the lady seemed absolutely certain they couldn’t come close to meeting the competitor’s price. I think I am going to try, again, closer to the ending date of my promotion (June 20th, I think) and see if they’ll ‘wheel and deal’ then. So, no-go, for me as far as getting my rate further discounted (and I followed the suggestions of the article in terms of approach). Tried today, no go. Got a very nice rep, but she told me she could not come close to what DirecTV was offering me. I was told by the DirecTV rep that they are partnered with AT&T, that conversation was in regards to my current internet service – that I could keep it & add to my DirecTV account. The partnership fact seemed further confirmed by the Uverse rep’s complimentary statements about DirecTV, their service, etc. Worked for me! I just negotiated U200 + 45 Mbps (up from 18) to $111 — that’s a $79 discount from what I was paying. You were getting screwed big time my friend! Your new deal isn’t so hot either. You need a better negotiater! You just saved me $1200 over a one year deal plus I got two additional TV receivers free. AT&T actually beat the DirectTV price by $8 a month, which is something I was not expecting at all. It took a bit of work to figure out how much the various competitor’s packages would be, but I reckon a return of $600 an hour for two hours of research is pretty good! I just called and spoke to someone very nice. I was paying $140 for U200 and Max internet, and quoted Comcast’s price of $99 for about the same deal, with no contract. They offered me $85/month to keep U200 and upgrade my internet to Elite, but I had to sign a 1 year commitment. Fine with me, since I have seen Comcast and am not impressed! Just got off the phone w/AT&T U verse retention agent. Two days ago I called, expecting to be able to accomplish what the article suggested but I failed. However, having a definite plan I was prepared to switch to (per the article) and the agent seeing I’d called before, I was able to get exactly what I was looking for–Internet only. I’m giving up the TV component for a digital antenna in my attic. All I ever watch is local channels anyway. So my bill is being cut almost in half! Max+ and 200 for $120 including HD and 3 DVRs. I’m pleased. Thank you so much for the article. It was very helpful! Spoke with a retention specialist. I was able to keep the same rate and discount for six more months, no contract, and with double the internet speed. Weird, right? U200 and 6mbps, now 16mbps, and 2 DVRs for $80 month. Thanks for the tips! Thanks for the article! I saved so much. Got U200 + max turbo (24mbps) + hbo + hd + dvr for 3 tvs all for a total of $122 a month the whole year and the gift cards took out the wireless installation fees. I’ve never anything faster than 12 in my life so I went for 45. But then I was told it would require new equipment at $7 more per month. I went for the 24 for $35 which didn’t require a monthly rental fee. It’s more than the $28 for 12M which I did have, but I get double the speed for $7 more. I’m pleased with that. When I saw the price differences I had to call back. When I said that I know of better deals available and that Time Warner was going to do 15Mbps for $35 and that is only $5 off regular prices then other operator did better. I got 18Mbps for $31.50! Much better. Thanks for the advice. Oh, and by the way, max speed in my area for some reason is 18Mbps. Bummer. Sometimes just calling them and talking to them about a small problem helps too. about two weeks ago i had U200 and 18mbps and i was chatting with someone online about a movie promotion code that they did not credit from my account. After they credited my account the person in the chat then upgraded me to u300. I called to add a receiver to my son’s room and they offered me a deal to upgrade again for free. So now i pay $106 for u450, 18mbps of internet and 3 receivers (2 wireless) and i am extremely happy. I’m happy but it took an hour and a half this time. My current deal (expiring in 2 days) is $80 for U200 + Elite (6MB) internet. According to AT&T’s site my rate was set to increase to $140. I talked with billing, their best deal was $100 with faster interest +$100 gift card. I talked with “customer loyalty”. Lots of back and forth but their initial offer was $125, then $114, finally after saying I was about to cancel, they offered $85 for U200 + Elite (6MB) internet. I took it. Ridiculous, they won’t give supposed loyalty customers as low of prices as new customers. I called to get a Uverse box upgrade 6 months after I upgraded to HD with antiquated equipment, they only upgraded the software on the box. The DVR was being crowded out by on demand movies that I never used. A very rude customer service person said I needed to pay them $100 for a new box. After refusing I told them I was going to leave AT&T. I called them to cancel service and after a half hour on the phone they agreed and sent me an email on how to ship back their box. After I switched to Time Warner the next week a new Uverse box showed up on my door and I received a bill for another $150 for another month of service. I had to call them again for another return instruction email and now they sent my bill to collections. I have all of the emails to prove they were slamming me. Unsurprisingly, new customer promos are ~ 40% less than rack rate @ AT&T U-Verse. I’m on month-to-month U200 + 18mbps plan ($174/mo) with 3+ years as a customer. A rep told me yesterday that I would qualify for new customer pricing only if I cancel my existing service and wait for 60+ days (which I’d rather not do). I was paying 91.23 out of pocket inclusive of everything for U200 and 18Mbps. As soon as the promotion ended after a year, the cost went up to 158.57. I talked to the customer rep responsible for customer willing to cancel and prevent from canceling. I talked with them for almost an hour but we they couldnt offer any deal that I liked, so I decided to cancel the service. They tried their best that I do not cancel but since they couldn’t offer anything good for the price that I was paying, I ended up canceling the server. The very next day I called ATT again and told them that I wanted a bundle service of TV and Internet and they offered my UFamily and 18Mbps for 76+tax and $150 rewards card. They said that since now I am a new customer I qualify for this better deal. They also waived the $49 activation fee. They could have just saved this whole hassle by offering the same deal that I was paying before and still saved some money. But I am glad that I canceled and got a better deal afterwards. This totally worked for me! They gave me 12Mbps for $25.50/mo with a one year contract. I was paying $31/mo for 6mbps so this was a good deal. Be advised that you should try to get a deal a few days before your contract expires, I have 5 days before my previous deal is up. Takes about 15 minutes. Thanks for the tip. My ATT bundle was set to expire so I did my research and found the best deal from Cox Cable. Then I called the number you listed, and ATT matched the Cox deal. I went from $150 for U200 (with DVR), 5Mbps internet, and phone service to $127 for U300 (with DVR), all free movie channels, 18 Mbps internet, and phone service, locked for 12 months. Major improvement! Called this morning. (Uverse internet only) The CSR I got on the retention desk did not ask me what Time Warner was offering, but went straight to their offer of 18 mbps for $30.50….which beat TW by $5.00! So I was happy with that. Asked if they could knock off the router lease fee of $7.00 a month. She said no. I asked her how I could return my router since I could buy it on ebay for around $20. She went to her “let me ask my manager about that” mode. Came back and said the router lease fee was part of the deal and would still be charged, even if i returned it BUT what they could do was give me an $84 credit on my account to cover the fee for 1 year. BTW, prior to the negotiation, I was paying $56 for 12 mbps + the $7 router fee for a monthly total of $63…now down to a net of $30.50 per month. All in all a very excellent transaction and an excellent ATT CSR. This really worked for me. i have the u300 and max package with promo prices. I called at the end of my promo prices. With the promo prices ending, i was looking at a bill near $180, a $70 increase. After using this technique and a length phone call, (20 initial wait, 35 of convo with service rep and negotiations) i got the offers down to $120, to $113, and final at $98. This price included a drop to U200, was told all i was losing was movie channels and kept everything else, and got an increase in internet to max plus package. This price is only good for the next year. Probably have the same problem next year. The goal is to pit all the companies against each other to get best price. But for now, im happy. I only have U-verse internet in Florida. I’m only in Florida 2-3 months out of the year and have been paying $25.50 for 12 Mbps. My promotion was going to expire Sept. 9 and the new charge was going to be $56 so I called AT&T and explained that I only needed the internet a few months out of the year and really couldn’t afford to pay the $56 a month for a full year. I said I was going to cancel and the customer care representative said that the only deal they could make me was 6 Mpbs at $31 something per mos. I said that was still too much and started to tell him I would cancel and send my modem back when I got there the end of January 2015. He said that he could do the 6 Mpbs for $23.00 a month but only for 6 mos no contract. I agreed without thinking. I then realized that I would only be there a few weeks before that promotion was over since it would take effect August 15 and would be looking at a much higher rate without the option to negotiate at that time. Do you all think that if I cancel today when I get to Florida the end of January 2015 they will consider me a new customer and provide new customer promotion options? Is this the best way to go? When you speak to them on the phone will they agree to put their offer in writing? I have been through this scenario with Comcast and was told something on the phone and agreed, but when I got the bill it was diferent from what they promised. I called and was told that I had been “misinformed” and did not actually get the deal they promised. I cancelled that day. Does AT&T pull shenanigans like that? I have had better luck using the chat line so that there is some documentation of the transaction. The same thing happened to me with AT&T. Had representative guaranteed that they would give me exactly the same price for my second year and when I called to confirm there was no record of this guarantee and was told that they couldn’t do that. When I said I was going to cancel the representative worked with me and gave me a deal that was only about $3.00 more per month and increased my internet speed. You really have to be mindful of what they are telling you and try to keep accurate records with names, dates and details. When I first signed up for Uverse two years ago, my bill was $111 for U200 with Elite (6 mbps) Internet and their HD premium tier (an extra $7 for a block of channels I wanted but wouldn’t get otherwise) with one receiver. After the contract was up and after calling a couple of different times the best I could get was$124 for U200 with their Max Internet (12 mbps) while still keeping the HD Premium Tier. That jumped up to around $130 a few months back due to what they called increased operating costs. My contract has expired again and is going to hump to $150 something a month and after talking with someone on the phone today, they couldn’t offer me anything. They said I didn’t qualify for any promotions and the best they could do was take off my $7 Premium Tier and remove HD service for a $17 discount. I’m going to try calling the ‘cancel services’ line after looking up some deals in my area. Hopefully I can get something. I have spoken with the retention dept as the local cable company really beats Uverse. I really do not want cable in my house but ATT is being really stubborn. I have 18mbps currently paying $30.50. plus the ripoff fee for the wireless router which they say I MUST pay for. The fee goes up next month to $61. They will give me $15 a month off but nothing more and still have to pay $7 a month for their wireless router. With cable for $45 a month I can get 50mbps for $55 a month, $3 more then ATT 18 mbps I can go to 107 mbps and no additional fee. ATT is not a smart or wise buy. Cable getting installed next week. Thanks ATT for reminding me why I dumped your phone service for VOIP 8 years ago. My bill for 12 Mbps had recently increased from $39 to $51, but the cable company was offering up to 60 Mbps for $39.99, so I called AT&T, and ended up getting 18 Mbps (max available in my location) for $30.50/month. Not bad! I probably could’ve held out for better, but the lady was nice, and I was satisfied with the offer. Thanks for your help! I was under a 1-year promotion contract for 24mbs and U200 for $106 a month which ended last month. They raised the rates to $117. Since we don’t watch much TV and due to the increase in rates, we opted to cancel the TV portion. I called to cancel and was connected with the Customer Retention department. They offered me a rate of $73 for the same service all inclusive, and I still stuck to just the Internet. Why would they raise the rates for someone that has been paying them on time and barely utilizing their TV services only to lower it $30+ just to retain me? Had they not alerted me with their higher price, most likely, I would’ve kept the same service. But now, I really don’t feel like doing business with what I consider a dishonest company. So hopefully I can find a local internet service provider so I can stop doing business with them all together. 1) 7 years of free 5 Mbit Internet with a one time $300 install charge. 2) $70 a month for 1 Gbps upstream and 1 Gbps downstream. 3) $120/month for 1 Gbps up/down and all every available TV channel. The TV+Internet deal also comes with a free Galaxy 7 tablet and a 2 Terabyte DVR capable of recording 8 HD channels concurrently as well as 2 TB of the Google Drive service. There are no data caps for Google Fiber and no throttling performed by Google. After winding my way through a few reps I finally ended up talking to a “loyalty” specialist. My first question was why does ATT U-verse treat new customers better than those who have been subscribing for years? She was very nice and assured me that she didn’t want me to think that was the case. When I pointed out the new customer bundle prices were far better than any offer they had made to me she quickly started working on a new bundle. I ended up with a total of $114/month for U200 with 18 Mbit internet, including HD fees and the various equipment rental fees(1 500 GB DVR, 1 non-dvr STB and a crappy 2-Wire router that I have to use.) I had to agree to do this for 1 year to get the $114 offer. Just enough time for my new Google Fiber service to be installed! I didn’t even mention to ATT the fact that Time Warner is also available and offering new subscribers a free Dell laptop/tablet combo to get them to switch. I have been a Time Warner customer in the past and their service in my area is far worse than ATT Uverse. Here’s a crazy idea, why doesn’t AT&T just offer a fair price to all customers and stop playing games? They often advertise a promotional price for new customers as low as $14.99 a month for the first year for Uverse internet. I’m now paying the regular price, $46. Now, I know they aren’t losing money at $14.99, they are at least breaking even at that price. So, to triple the price when the promotion ends is just crazy. If I was paying $25-30 a month, I would consider that fair. Instead, I’m being gouged because of the lack of competition. Unfortunately, threatening to go with my only other choice, Comcast, isn’t going to work, because I would never seriously do it. I have to say, for a giant, faceless corporation customer service at AT&T has generally been great. I do not want to sign up with a company (Comcast) where their customers routinely pull out weapons on their technicians because they’re so outraged at their service. which shows an overall rating of 34 out of 200. I can say that because it’s been my experience. I never claimed it’s true for everyone. Remember that Uverse can switch you over to DirecTV seamlessly, too. I got rid of UVerse Family (where hope of being entertained goes to die) and 15 MB internet at $140, and got DirecTV Choice plus 18 MB internet for $104. So I hung up and called Uverse, following the advice to get to the “cancellation” department. I spoke with a very nice, extremely professional representative. He asked about the reasons I wanted to cancel and discussed with me in a very respectful manner. He noted that I had been a Uverse customer for 8 years and he didn’t want to lose me as a customer. I am very pleased with the deal he gave me to stay with Uverse. I am even more pleased with the Uverse representative’s professional, respectful and helpful manner. I was paying $25.50 for 12Mbps on a 12 month term. When the 12 months were up, I was offered and accepted an upgrade to 24Mbps for $28 per month on a 12 month term. I had to call three times over 1.5 weeks. The first two times I was offered $15 off list prices. The third time I received a half price offer to upgrade from 12Mbps to 24Mbps. Over the years, I have upgraded from 3Mbps to 6Mbps to 12Mbps to 24Mbps on the half off upgrade offers. The half off upgrade offers require a manager’s approval. This worked really well! i talked them down to $67 on the u300 $30 for the home phone and $37 for the 45mbps internet now im paying $134 a month instead of close to $200 very happy! Called today – spoke to a super friendly, easy-to-understand rep in the retentions dept. I was looking at $175 a month plus taxes/fees with my package expiring on Oct 5th for U300 and 24mbps internet. I downgraded to U200 because the movie channels weren’t worth it to me, and 18mbps internet because before I had upgraded to 24, I had no issues with the net. He quoted $115 (includes the HD fee and Modem fee) – I asked if there was anything he could do to get that down a bit more and he gave me a $72 credit effective immediately – which basically equals an additional $6 off my monthly. Locked in for 12 more months. Happy because although I had to downgrade, my bill will still be about the same I was paying during the promo period. Perhaps I could have haggled some more or called back but I had a great rep on the phone and he got me to an acceptable level. Overall happy and thankful I ran into this article which helped me prepare for the call. Oh, I never even had to mention what TWC was offering, which by the way, I wouldn’t call it competitive compared to what ATT Uverse offers new customers. At all. The deal I got was still better than a comparable TWC package for new customers. 🙂 Another note – I checked my ATT account once the phone call ended and the $72 credit was there (off my current bill) as well as it was noted under “my orders” what the new package/rate will be. My contract is up Oct 10th. AT&T wants to increase my Uverse and I-net (6MPS) by 34%. Today I just used your strategy and called the 800-288-2020 number. I explained my two alternatives and asked if there is anything they could do. She responded no. She also noted that any promotional changes could only be done or even discussed only after my current contract ended (Oct 10, 2014). I explained that one year ago we were contacted by AT&T Retention Department well in advance of our termination date. She indicated that they don’t do that anymore. She informed me about how to return the equipment and then we cordially thank each other for our respective time. We have been with AT&T for two years. I got the impression that they just didn’t care about retaining my account. A Comcast guy going around my neighborhood knocking on doors offered me the preferred plus Triple Play with 105 Mbps for $89.99/month. After additional boxes, fees etc, it will cost me $114. I’m paying Uverse $156 for U200, HD, and 12 Mbps. I also pay Voicepulse $15 a month for the phone and will cancel that for more savings. I’m hoping I don’t have any problem getting AT&T to process my cancellation as the deal Comcast is giving me is much lower than listed on the Comcast site and something AT&T probably won’t be able to match. If they try to pressure me, I will bring up the fact that their box doesn’t work correctly with my surround sound system and that they haven’t had the Hallmark Channel for over 4 years while every other provider has it as part of their cheapest package if you don’t count local only packages. I’ve read that many people have the surround sound problem with stereo programming skipping when in Surround mode and that the Cisco Box that is given to U400 customers is the only box that doesn’t have that problem. I think I read that you can only get the box on a lower package if you pay a fee of about $100. My promotion expired and the rate nearly doubled. All the rep offered was $30 more than my previous promotion with a 1 year commitment. Poor customer service. I called three days ago when my “promo” expired and talked to someone who I thought was in the retention department. When I asked if I could keep the promotion, or get something cheaper than what Comcast was offering, he basically went on to lecture me about economics and how I had received my one time only promo, and now it was time to let “new” customers benefit.. and if he gave me the discount again, the company would eventually lose too much money because no one was paying “full” price. When I asked if he could transfer me to someone with more authority than he because I would like to cancel my service, he replied that everyone at the company had the same authority to give promos, and I wouldn’t be able to get any better offer from anyone else. Today I called in, said “cancel my service” to the automated directory and was directed to a true “retention specialist” I simply asked if there was anything they could do to keep my business. She replied, yep, I can give you 50% off for a year (what I was previously getting). Boom. Done. That easy. I explained my dissatisfaction w/ the previous rep and she actually told me that they have been finding out recently that the “Customer Service Reps” aren’t transferring customers to the “retention specialists” when the customer isn’t happy with the offer and mentions canceling(which I did several times). Morale of Story: Make sure to ask for a “retention specialist” because you want to cancel your subscription!! Great article! Just got off the phone with a retention specialist. I followed the suggestions & After 3 rounds of negotiations & asking to speak with the manager’s manager & threatening to cancel & go elsewhere, I was finally able to get 50% off the internet speed I was wanting with a 1 year contract. I had U300 + 18 mbs internet + HD + 3 DVR’s. After promotion expired price jumped from $116 to $164/month. I called yesterday and requested to cancel service from menu. The specialist was able to offer me $120/mth for everything plus he upgraded my internet to 24 mbs. Have any of you actually cancelled the service and tried to rejoin before 3 months of cancellation? I’m curious if they’d prevent you from getting the ‘new customer’ promotion when you attempt to rejoin. I just canceled the service today. I am putting the same service again in 4 days under my wife’s name. I be saving $30 per month and getting $250 rewards card. I’m really glad I’m cancelling. They just sent me a letter saying that my “high speed” internet could be cancelled withing 10 days for cancelling automatic payments. Just coming off the 24 month promotion. Pricing will jump from an average of $159.77 per month to $218.39. Checked out Comcast, got all their information and called, requested cancel service. Immediately received a person who had no interest in retaining my account. He tried to upsell me on increasing services for $180 + $40 for extras (ie. increasing service for the same $220 per month). Mentioned that Comcast had the same package for $159 and he proceeded to tell me to enjoy the competition and good luck. NO INTEREST IN RETAINING ME AS A CUSTOMER!! ?? Should I call back ?? Michael – I’d call back. Just got off the phone with a retention agent. There was a little back and forth but she was quite interested in retaining my business. I was paying $103, my bill was set to jump up to $156 and we settled on another one-year contract at a rate of $113. I would echo what the article and other commenters have said – if you don’t get a retention agent, you’re not going to get a deal. Could just be luck of the draw. Have any of you actually cancelled the service and tried to rejoin before 3 months of cancellation? I’m curious if they’d prevent you from getting the ‘new customer’ promotion when you attempt to rejoin. I just got off the phone with AT&T. I called saying that I found a promotion through Time Warner for $34.99 for 15 mbps and I am trying to cut down on some of my bills so I am very interested in switching if it will save me some money. I currently have Uverse Max at 12 mbps and am paying $51 (before taxes and the equipment fee) for that plan. I asked what she could do for me before I decided to switch to Time Warner and she came back with $41 (not including taxes and the equipment fee) for my current service with a 1 year commitment. I mentioned that Time Warner is offering the $34.99 for a plan that was even faster than mine for a lot less so she then proceeded to offer me 18 mbps for what I am currently paying now. I reiterate to her that I am trying to save money so staying at the same price for a higher speed was not the objective. She just said “well $41 is the best I can do, I cant go any lower than that.” I told her that I will just go ahead and cancel my service and sign up with Time Warner and she seemed more than happy to do that than offer to drop the price by $6 more. I am disappointed. I have been a Uverse customer with them since 2011, they seemed to have no desire in retaining me as a customer. Remember all a customer service agent can do is enter a service that is in the billing system. They can not get creative and offer anything. I just got off the phone. I have U450 & Max Plus internet. I was paying $140 a month. The promo is over and now it’s about $200 a month. Best the lady could do was lock in $160 a month for a year. I’m not sure that is good enough. I could get equivalent service from Comcast for about $135 a month. I didn’t take any action yet. I’ll call back again later. I was paying $98 a month with taxes and fees for U200 (DVR, HD, 2 boxes) + Elite (6mpbs) for the last year. Contract was up and renegotiated for another year to $113 with taxes and fees a month for U300 + max plus (18mbps) and a $100 one time credit. Thanks for the website it was so helpful! My 2 year contract expired in September and the bill jumped $50.00 for a bundle of voice, internet, and tv. I compared packages with competitors for just internet and tv; called to cancel the unneeded voice portion and asked them if they would renegotiate the internet and tv service. I was upgraded to 18mbps (from 12mbps), 3 months free of premium channels (I just have to call and cancel at the end of 90 days, and the service rep said it was likely they’d extend the offer). Originally they quoted $110.00 for a 12 month agreement, but dropped it to $105 when I suggested $99 which was comparable to Xfinity. Not only do I not have to deal with the hassle of changing providers, but I avoided Xfinity’s “required professional installation fee” $50 for their X1 box that was not negotiable. I ended up saving $67 a month and didn’t have to change providers. I think it helped that I told them I was very happy with the service, didn’t really want to change, but couldn’t afford to continue to pay the full rate even after canceling the phone line. I had U300 & 24mpgs (Max Turbo) internet. I called – spoke to a nice lady, who tried to rebundle me with a home line – not interested. I was already prepared to go down to U200 – as it still has all the channels I watch. She gave me U200 and Max Turbo for $133 for 12 months, which I’m pretty happy with. I wanted to hold out for more – but she was very nice, non-aggressive, and it’s still a nice chunk of savings. Living in an apartment I also don’t really have any other cable/internet provider options anyway. This sounds pretty true in most parts but I go a mile further by negotiating a good promotion w/ a competitor provider (just in case). Don’t make an official appointment for ‘installation’ but provide them w/ name, address & phone number so 2-3 before the 1- year contract w/ at&t officially ends you have the peace of mind that in case no discount deal is reached, you still have a choice. Maybe I didn’t negotiate the bundle right? Maybe I should’ve said “None of these deals work for me. I want to cancel.” Perhaps then I would’ve been offered a better price. But if the rep is having none of that, they could’ve processed my cancellation and i’ll be without service for a week or so while having new service set up with another service provider. I ended up taking the bundle. Total time wasted on the phone, 43 minutes. I found a company that saved me $28 per month on my cell phone bill. It’s called BillXperts.com. All you have to do is sign up on their website and they’ll negotiate with your service providers on your behalf. It’s free although you have to share a part of the savings with them. I also liked their “satisfaction guaranteed” policy: if they cannot get you any savings, then you don’t need to pay anything. It worked for me so I would highly recommend them. I manage my father and my accounts for Uverse and recently was informed our fully loaded rates (includes all taxes and rentals) for u300 and Max internet were going from $122/month to $180/month. So a total increase from $244/month to $360. And this included DVR’s that had to be cycled (turned off and on) at least 3 times a week. I called and told the Uverse CSR this was unacceptable and was prepared to cancel 2 accounts and move to TWC who had what I wanted for $124.month. After a couple of phone calls totalling at least an hour, the best offer made was a drop to U200 and an increase to $137. I cancelled my fathers account and moved it to TWC, and while the DVR leaves something to be desired, it is acceptable. Plus he gets a home phone linen. Essentially the same price. On my account, I purchased a TIVO OTA DVR for $55 at best buy and am stunned at the excellent quality. I’m moving from Uverse internet to time warner and it will run $40 for 18 mbps. Add on the $16 Tivo fee, $9 Netflix and $9 hulu and I’m happier than ever regarding selections. So for a one time $55 and monthly $74, I’m thrilled. Plus on my Roku box because I will have a TWC modem, I can access my dad’s TWC channels to stream realtime if I need. I can’t record them, but there are a couple of shows unavailable (OTA + Hulu) that I want to see. If I’m still happy with TIVO OTA in a year, my dad’s account will go this route as well. I can honestly say, the quality of OTA (Over the air) High def is better than either Uverse or TWC. My wife asked what I did to make the TV look so much better. And saving 40% ($74 Vs $122) is nothing to sneeze at. Anyway, it’s clear ATT is in a less helpful mode regarding pricing than in the past. I had Internet only Max Elite I think (18 Mbps) with my 1 yr promotion expiring on Feb 1st (about 2 mo from when I called) & was paying $34.95/ mo. Asked to cancel from menu, exactly as said above, and was answered in 1 min by a friendly customer retention specialist. I told her that I had offers from cable companies in my area, that I wanted to see if we could work something out to get my payments lower, & that I would consider adding TV if the price was right. Once I made her understand that I didn’t want landlines & wireless phones, she immediately offered me U200 TV + upgrade of net to 24 Mbps for $77/mo. This did not include the HD fee of $10, so the price did go up to $87. Plus I wanted a wireless receiver (addl $8/mo). She did have me waiting for at least an hour. So before it was over, she claimed that her manager approved 1 more wired reciever, with the fees for both add’l receivers free now. I did however have to still pay the activation fee of $49 with my monthly amt still at $87, plus taxes & fees, that she said would be no more than $10/mo (also got a $150 Reward Card!). I checked my Order Status & Details once I was off the phone with her & found out that there was 2 $49 fees! One was labeled as Uverse activation fee & the other as the wireless reciever fee (both 1 time fees). Kinda glad b/c I’m just going to call back to customer retention again & get more discounts!!!!!!!!!!!!!!!!!! Will post after next call. I am really mad at AT&T as they recently raised my TV and internet bill. I called them several times but each time I had to hang up because of the wait time. Finally, after waiting more than 20 minutes, I managed to talk to a representative and I got transferred to their retention department. The lady was polite but I did not manage to get any discounts as they told me I already had the best rates. When I threatened to switch to Comcast, they basically told me: “OK”. So I looked up on the internet and I found an article about a company called billxperts.com, who negotiates on your behalf with your service providers. I thought, ok there’s no risk because they don’t charge anything if they can’t get you any savings. So I signed up on their website and 4 days later, they came back to me with $32 off my monthly bill, valid for the next 12 months, for the exact same plan! @ Roger, @ Mary: thanks guys! I tried Billxperts.com and it really worked! $19 off my cell phone bill, $21 off my cable bill and an other $14 off my internet one. It’s $650 worth of annual savings! Spread the word, this company is awesome. We had U-verse 450 with 24 Mbps with 3 receivers. We were paying about $150 a month until the promotions just disappeared into think air and the next bill was $225. I called retention services and the lady was very friendly. She bumped us up to 45 Mbps and dropped us to U300 (Didn’t use all those damn channels anyway) for $155. At no point did I quote the competition. In hindsight I probably could have been more pushy and tried to get a credit but I looked at it as an overall win. Just got 12MB and U-200 with HD included free for $93 a month. Also made them throw in movie channels for a month free. called just now, 1st year promotional price ends in 3 days. I said I was wanting to cancel so I could move to a better deal. Explained the big points of the comcast deal I would switch too. Said it would be the same price as im paying now, Include HBO, have 3 additional recievers, and most importantly to me it would have 50MBs. ATT person offered to keep everything the same for a 2 dollar increase. I then stressed again that internet is a big issue for me and the fact is, I have the fastest speed you can provide in my location and that is the biggest reason I want to switch, but if you can include hbo and throw in an additional reciever and keep my price. I would consider staying. ATT person came back with one offer with U300 around 150, I said no. then got the offer listed above. I tried the different ideas you guys shared and some of them seem to work. For instance the $100 service credit seems to be easy to get. But, there is no way to get a decent price discount valid for 12 months, even if you mention the competitors’ names and promotions. I think billxperts.com is the best way to go as they managed to get a me Uverse 450 and 24MB for only $89.99 a month. That sounds like a good deal for me. Thanks for the tip Roger: after reading your post I signed up on the billxperts.com website and they just came back to me with nearly $45 off my monthly cable and internet bill. Mary, your response to Bill fascinates me because based on your e-mail address, you already work for or represent Billxperts, something you failed to disclose. Roger, it would be fair to our readers to note that you apparently work for or on behalf of Billxperts based on your provided email address. We expect readers to disclose such relationships. Regarding those deceptive “Billxperts” spammers polluting this thread – I’d advise people NOT to use outfits like that. They aren’t doing anything an individual can’t do on their own, and posting deceptive comments should should tell you everything you need to know about their business practices. Just call and beg–it's worth it! I called the number listed above, and told the rep that it went up to $61, and that I couldn’t pay that much. I brought up the fact that TWC was going to sell me 15Mbps for $34.99. At first she offered $47 for 18 mbps; I then asked if they could come closer to the $34.99 that Time Warner was offering, and then she had to talk to a supervisor. This worked for me today, thank you! I first tried the online chat because i was at work and got nothing then i called and got an $60 discount!!! Just did this. Very nice gentleman helped me out and took about 15 minutes start to finish. Great article on how to deal keep ATT costs under control! My results: they wouldn’t budge. They suggested I put my service in someone else’s name so as to qualify as a “new customer” for intro discounts. I’m not going to do that. Currently paying about $200 for max plus internet package and U300 TV. No premium channels. That is NOT decent pricing. I plan to cancel and switch. Did the same for me this week. Called multiple times and got different pricing from different people. Had 300 plus 18mbps and all they seemed to want to do is knock all my services down or add a home phone. And still charge me an arm and a leg. When I said to just cancel me she said ok send you stuff back or you will be charged thank you. Nice retention department. Called AT&T today at the number listed on the article. I said I wanted to cancel service bc my cable provider was giving me a better deal. I told her that I have been with AT&T for 6 yrs. First words out of her mouth was, ok we can cancel your service right now. I even asked if they can do a better deal with a 1 yr agreement. No can do!! Nice way to keep your customers AT&T. I will be switching very soon. I live in St.Louis and I just called after my rate went from $25/month to $50/month. I said I wanted to cancel unless they could give me a discount and she basically said there were no promotions available at this time and she couldn’t do anything for me. I had U200, 18mps internet with 3 receivers, HD with no premium channels. I was paying $163/month and received a mailer from Comcast promoting 300 channels including some premiums, 30mps internet and home phone for $89.99. I mentioned the deal Comcast was offering to see if they could match without adding a phone. I wasn’t able to get the same rate as Comcast (wasn’t expecting too really), however I was able to upgrade to U300 which includes showtime, TMC, and encore as well as upgrade to 30Mps internet and pay $125/month for the next year! At $456 savings over the next 12 months, that’s a huge win in my book! Very helpful. I called an pretty easily got my bill reduced by $60/month and a U300, 18Mbps and phone package. They also threw in a one-time $60 bill credit. That is what I have, but they are only offering it at $165. Is that what you are being charge? I used to pay $149.99 for the U300+18Mbps+phone package. After the discount that billxperts.com negotiated for me, I got my price reduced to $119.99. Not too bad although I could probably get a better rate if I switched provider…but I don’t want the hassle of switching. I am suprise to read that some people pay $160+ for the U200 package. Prices are probably different from one state to another I guess. I hate the procedure to get a better price, and you need to do it every year. ATT would rather have a large number of staffs dealing with those haggles rather than giving its customers a better price. Every time it cost me at least two hours to get a good promotion. I pay $165.37 per month for U200, Max plus internet and U-verse phone. I have 1 DVR and 3 receivers. Who watches 200 channels! Will be shopping for another carrier, real soon. Ive had Uverse for 3 years. I recently called to move my service and negotiate a better deal. I didn’t have my bill in front of me when I called and they were trying to tell me that I’ve been paying $165 a month and that he could get me down to around $130 /month before taxes. I told him I would call back after some research. I called back when I had my bill in front of me and I have never paid more than $145 a month after taxes. When I called back I asked to disconnect my service and I explained to the rep that I felt as though the previous rep was quoting me higher just to make it seem like he was giving me a deal and I was not happy with his deceitful tactics. I explained to the rep another offer for $89/month and offers I saw online for $300 in credits to move service. She initially quoted me $122/month before taxes for the U300 + HBO for 6 months and (3) HD wireless receivers (all with DVR). I told her I would have to think about it because the other company offered me $100/month. I actually didn’t speak to another company but I knew I was not going to pay Att more than around $100/month. Needless to say the rep called me back after about 5 minutes and said she “spoke to her manager” lol and she could offer me U300TV with Max Internet 12mbps, (3 wireless DVR receivers) HD, HBO for 1 year & a $100 visa gift card for $100/month after taxes!!! I would suggest being patient, do some research & mention deals from competitors or even deals that att might advertise. There is so much competition these day they will do what they can to keep you as a customer!! Hope this helps!! This tactic worked flawlessly. My initial contract expires soon. I spoke to a representative from the retention department. She provided me with the same promotional price I was paying, credited my account close to $100 and upgraded my internet service from 18 Mbps to 45 mbps for no extra charge. Thank you!! Ok this article was good. Helped save me $40 per month plus gave me a one time credit of $40. Did my research with the competition first. I didn’t really want to cancel with att just knew I was overpaying as my contract was a month past. The cable companies are bad don’t have a good product. Worth the 40 minutes had to go into a one year contract but save $400 + per year. Thanks for the suggestions. Dropped my expensive U300 /all movie channels/ 18mb internet 4TV’s & HD from $255/month to U450 / 45 mb internet for $184/mo. Got $92 bill credit now and $32 or so credit on the U450 for next 3 months. Probably could have played hardball to get it somewhat lower but happy with what I got. At least a bit of an improvement. I got the same incentives for another year plus a free upgrade in speed to 45 mb. I have u450 and was saving $55 per month. Now I’m saving $65 per month. Plus, I received a $50.00 credit. The first time I called, I would have had to pay more for the same (around $15 more per month), keep the same speed Internet and get no statement credit (I asked for $100). I asked the nice fella to write down all that we talked about and called back today (around 4 or 5 days later). My current contract expires in 4 days. I feel like the lady I spoke with would have given me the Moon, but I was too shy to ask for the $100 statement credit (but not too shy to ask for $50.00). I am paying around $178 after taxes for U450, 45 Mb Internet and three receivers. All in all, a good deal (considering I’m saving $830 for one year vs full retail). Might have been able to get my third receiver free? I talked to Thomas in the Indianapolis retention department. He offered me a $40/month reduction in my package which consists of U450, Internet Max and Voice 250. He was very accommodating and told me to always call retention at 1-877-999-1083. I took the deal, which includes a one year commitment. WOW! This article is amazing. My contract is ending next week and my bill was going to go up $60/month. I looked around and found a good deal from Mediacom to use as a bargaining tool. I called the At&t number listed in the article and 20 minutes later my bill isn’t going up and they upgraded me to the next internet plan. So grateful for this article and will definitely use these tips again. Just tried this out, I have U450 and 24mps internet. My bill just jumped from $140 to $220, called and tried this, he originally told me that could drop down to $175. After price dropping comcast he managed to offer up $161 a month, hardly what i was hoping for, but he did upgrade my internet, and all the equipment and services charges for free. Not sure if the deal was that great, but figured I might have to try again. Opinions? I have been an att customer four years usually they lower my monthly after promotion was over but this time no help at all they were trying to stick me with services i didnt need and finally they decided not to help me and i cancelle my account. Will wait acouple of weeks to call back again as new customer.